Ovais Khalil knows what it’s like to be a patient. In 2010, the former Marine fell ill with a rare disease, spending seven months in the hospital. 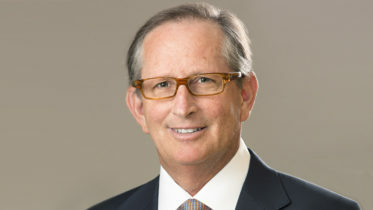 There was a tracheotomy, an internal feeding tube, and, eventually, he had to learn to walk again. And yet, just one year later, he was able to run the Army 10 miler and the following year, competed in the World’s Toughest Mudder. After being medically-discharged from the Marines, Ovais earned a degree in cybersecurity and had a very secure government job. Still, he felt he had not yet found his life’s purpose. “I was thinking, you only live once,” says Ovais. 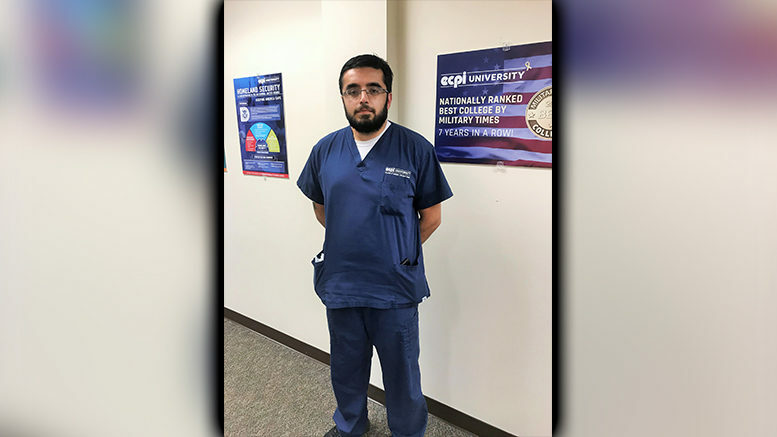 “I want to dedicate the rest of my life to helping others.” Attracted by its stellar reputation working with vets and accelerated class schedule, Ovais enrolled in ECPI University’s Nursing (ADN) program at the Northern Virginia campus. From the moment he arrived, Ovais has been impressing just about everyone, especially during his clinical rotations. In one instance, a doctor and nurse were discussing why a lab value was so far off normal range, and why the medication they were giving the patient was not effective. Ovais asked if Vitamin K was in the TPN, an IV nutrition the patient got every evening. He had learned in school that Vitamin K can interfere in the effectiveness of the particular medication the patient was receiving. Indeed, Vitamin K was the culprit. On another clinical day, Ovais responded when a mother was calling frantically because her child could not breathe well and an alarm was going off. Ovais saw that the oxygen saturation was low in the patient, so he put the call light on for help and raised the head of the bed as he was taught that it can help in oxygen exchange with the patient’s condition. Slowly, the oxygen saturation increased back to normal. The mother, patient, and staff were very grateful as a longer delay could have had a more serious outcome.